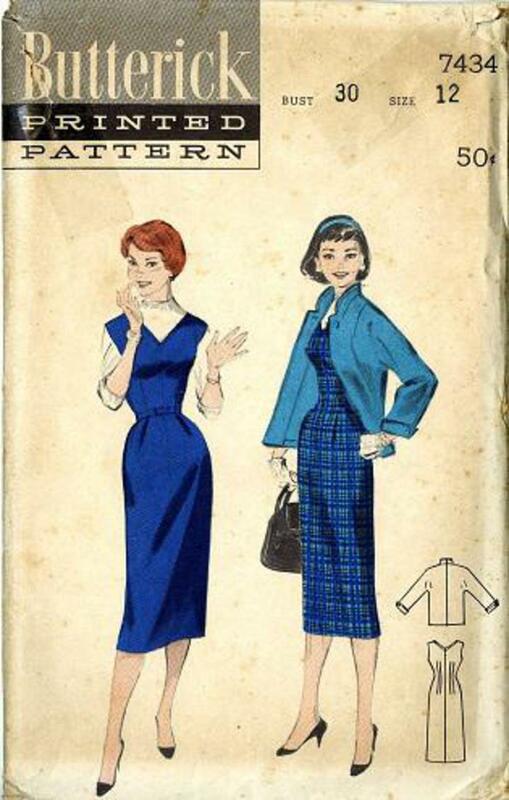 1955 Butterick #7434 vintage sewing pattern, junior misses' jumper sheath and jacket, size 12. Jumper sheath is cut to a V front and back. Sews without side seams. Comes with an easy-going, lined, hip-length jacket.